If you’ve never heard of us before, then you’ve come to the right place – this first blog post will begin with a quick introduction and recap of our journey to date. Streamio was founded back in late 2004 based on a very simple idea – we wanted to create a user-friendly web application that made it easy for anyone to publish and administrate high-quality Streaming Video content on their website. At the time, we didn’t really know what we were getting ourselves into, but we invested a lot of time and resources in code, software, servers and infrastructure and within a year, our small development team got our first platform up and running – and it was awesome! Since launching our service in Sweden in late 2005, we’ve had the opportunity to work with hundreds of companies and organizations, large and small, primarily in Scandinavia and Northern Europe. Each and every one of them have contributed to our gaining a better understanding of their actual vs perceived needs – and how these needs evolve over time. A little over a year ago, however, we came to the realization that we had painted ourselves into a corner. We had gained a wealth of expertise and experience over the years and we really felt we were ready to scale our business – but, we had also managed to amass a massive amount of technical debt. Before we could attempt a scaling of our business, we first had to figure out if we should invest significant time and resources on getting rid of all the technical debt – or if we should leverage all the experience we had gathered over the years and simply build a brand new platform from scratch? We chose the latter. Moreover, we also had to rethink our company’s purpose and mission – what exact needs are we actually trying to fulfill, who do we cater to – and why? We had to do a lot of soul searching and market research before “the clouds parted and the angels started to sing” (Thanks, Guy!) and we were able to discover the path we have now taken. And here we are! After a year of really hard work, keeping our old platform up and running for hundreds of existing customers while trying to build a brand new platform at the same time, we finally made it! We’re live – and we’re ready to kick some serious booty! So, what exactly is it that we’ve actually built here? Well, for the untrained eye, it may seem like we’re just another Online Video Platform (OVP) – and, in many respects, that’s exactly right! Streamio is an OVP and there are literally hundreds of other OVP’s out there! 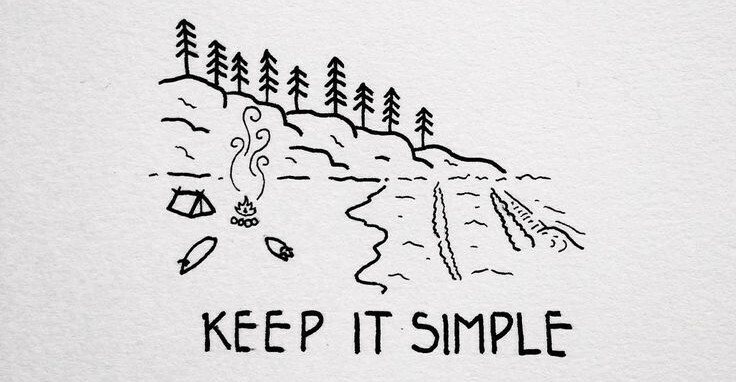 What we believe sets us apart from the crowd, is our relentless commitment to keeping it simple. Regardless if you are a highly skilled developer building advanced video solutions for a Fortune 500-type company or if you are a novice who wants to publish your first video online, our goal remains the same – Streamio should be the perfect solution for you! How do we intend to fulfill seemingly diametrically opposed types of needs? Again, by keeping it simple. For novice users who just want to publish a couple of videos on their website, we’ve created a really user-friendly interface that makes it extremely simple to upload, encode and publish videos online in a matter of minutes. For more experienced users, we offer you simple ways to encode your videos exactly how you want them, to organize your content library with really clever tags and manage multiple users and multiple accounts with unprecedented ease. For skilled developers, we built one of the easiest and smartest API’s you’ve ever encountered – and, as an extra bonus, we’ve also built our very own Open Source Video Player so that you can literally build pretty much anything you want and have it powered by us. We could go on and on about all the little things we’ve done and will do that we believe will make a big difference for you in the long run – and we will! We’ll share it with you in this blog! We’ll tell you what we’re working on, why we chose to do certain things and refrain from doing other things – and we’ll give you lots of examples of how our users around the world use our services. Over time, we hope you will find this blog to be a great resource for you and that you will want to share your own ideas and needs with us. Your feedback and input will help us do the right things – and do them right. Your feedback and input will also keep us on our chosen path – building the best Online Video Platform for YOU.